I have not seen many pie-in–the-sky retirement commercials as of late. There used to be a bevy of advertisements that seemed as if they were pumped out by an advertising team comprised of Don Draper and Robin Leach. They aided the big firms in painting the mental picture and selling the dream of…“Champagne wishes and caviar dreams” private islands, a vineyard in Napa, and first-class world travel. Conventional American life goes from being a kid, going to school, getting a career, having a family, then retiring. All of those sound great to me except one…retiring. The concept of retirement is not a milestone that I wish to partake. I love to work and I would probably go insane without it. Don’t get me wrong, I thoroughly enjoy time off with my family, but after being away for a couple of weeks I get amped up to get back. Retirement as currently defined by our society usually takes place at 62, 65 or 70 and whether you like it or not, is quickly becoming a concept that is becoming mathematically impossible due to a series of factors. I will start off with the good-news. Someone alive today will live to 140. There are 20% more people above the age of 100 today than in 2000. Not a day goes by when I do not read in one of a myriad of scientific and medical journals that are a part of my daily reading list, of another medical advance that is coming down the road. From Alzheimer’s to cancer more and more is being done to tackle horrific diseases. People are living longer and healthier lives than ever before, and that trend I believe will continue. In fact, our mortality rate would be much better than it currently reads, if it weren’t for our nation’s self-inflicted horrific problem with prescription opioid abuse and heroin. Mortality improvement changes the mathematical model for pensions, Social Security and any other retirement vehicle. These retirement vehicles were not designed for retirements that are currently moving into three decades. According to a study by The Centers For Disease Control and Prevention the risk of dying at any given age has dropped sharply since 1935. In 1935 the death rate per 100,000 was 1,860. It has gone to 746 in 2010, which is a 60 percent change. The death rate among people ages 65 to 74 declined 62 percent over the study period, while it decreased 58 percent for those ages 75 to 84, and 38 percent for people 85 and older. People living longer and having healthier lives should be cause for celebration, however for the ill prepared, or the individuals who retired too soon it can be the cause of great stress. One should be worried about living life to the fullest not outliving their money. I have used the 1983 song, Saved By Zero by the band The Fixx over the past decade as bumper music from time to time to introduce my frustration/commentary on the ultra-low interest rate environment we have been experiencing. Ultra-low rates have been the chosen remedy by the world’s wizard of smart central bankers to create demand within the global economy. Not only in my opinion have they failed, the consequences of their bad medicine are registering everywhere including retirement plans and savings. Twenty years ago, someone who saved a million dollars for retirement could if they chose invest the entire amount in a ten-year treasury and received around $60,000 in income. Today one would receive around $13,500. Retirement vehicles like pensions need to keep a certain percentage of their assets in cash and or cash equivalents such as Treasuries. The returns that those vehicles were accustomed to are no longer. This is due to the current interest rate environment. Moody’s credit rating agency feels that municipal pensions are short over $2 trillion already. This damages the long-term viability of the vehicles. They cannot grow fast enough to make future payouts to retirees. Central bankers incorrectly believed that they could save the world by zero interest rates. The unfortunate reality is that we are stuck in a slow growth death spiral that is partially their doing. The ultra-low rate environment is also wrecking havoc on many types of insurance products. Life-insurance companies are bending over backwards and scouring their policies to find caveats that will allow them to raise rates, fees and lower the interest they have to pay on savings products. The stone-cold truth is that many policyholders will have to pay a significant sum more or relinquish their policy. Life insurers earn much of their profit by investing the premiums customers pay into high-quality, long-term corporate bonds. They are required by law to have the funds invested in very safe vehicles. The Wall Street Journal reported that estimates of the number of customers hit with higher costs due to the ultra-low interest rate environment are not available, but insurers public statements and regulatory filings indicate rate increases and other maneuvers will cost consumers billions of dollars. Long-term-care insurance is one of the products hardest hit by low interest rates. Eight million Americans own the policies, and many are facing annual bills that are 50% higher than before the financial crisis. Also, owners of universal-life insurance, which is a policy (I am not a fan) combines a tax-advantaged savings account with a death benefit, are facing unexpected bills to the tune of ten’s of thousands of dollars. The sad reality is that people can’t even maintain the policy that they are supposed to start utilizing in the near term. For most of human history people worked all of their lives. German Chancellor Otto von Bismarck started the original retirement plan in 1889. The initial retirement age was seventy, which was later dropped to sixty-five. This plan was a fantastic political handout by Bismarck that didn’t cost very much due to the fact that life expectancy at birth was about forty. At the time Franklin Roosevelt started Social Security life expectancy was sixty-one. Life expectancy sits at around seventy-nine years in the United States if the retirement age was indexed on the same ratio when Social Security was started our retirement age would be eighty-four. A recent research paper by Nihon University Population Research Institute concluded that increasing the retirement age to 65 from 60 could raise per capita 10% by 2025. Calculations by the U.K.’s International Longevity Centre state that increasing the total number of workers over 65 by just 2.6% a year could boos per capita output in 2037 by as much as 6% cumulatively adding 1.7 trillion pounds to the U.K. economy which is more than the total British GDP today. These numbers also do not account the benefits from a longer work life to national wealth, budgets or public debt. Research by the Department of Work and Pensions is proving something that we have been espousing for years in that working later into life associates with not only better health both physical and mental but also greater life fulfillment and happiness. Slowly but surely I think people are starting to get the message. A new survey of American workers from the Transamerica Center For Retirement Studies found that 82% of the respondents’ age 60 and older either are, or expect to keep working past the age of 65. The study also found that 20% expect to keep on working as long as possible in their current job or a similar one. The study showed that across all age groups individuals are very concerned about their ability to save enough to last their lifetime. 44% stated that outliving their savings and investments was their top retirement concern. Individuals in their 40’s, the Generation X crowd, only 10% felt confident they would be able to retire comfortably. Another shot to all Americans that hits retirees especially hard is inflation. The fable that measures inflation is known as the Consumer Price Index (CPI). The CPI determines increases to countless benefit programs and in my opinion the calculation is downright absurd. We are constantly being told that there isn’t any sign of inflation, yet we look at the cost of goods and services that we utilize everyday and they continue to skyrocket. Granted, televisions, computers and cell phones continue to drop in price, however you can’t eat them. Americans are finding it increasingly more and more difficult to keep up with expenses and with many retirees on a fixed income inflation can be devastating to ones quality of life. In my opinion the inflation index should be based on everyday items that one needs to survive. When I am looking for an accurate gauge for inflation I utilize the Chapwood Index. This index measures the price of five hundred mostly used and relevant items. Every six months the prices of the items are compared and any increase or decrease is calculated. The items include everything that most Americans use during the course of their lives. For example: Starbucks coffee, Advil, insurance, tolls, toothpaste, oil changes, pizza, cable T.V. service, dry cleaning cosmetics, laundry detergent light bulbs and underwear to name a few. If you look at the Chapwood Index for your area of the country and compare it to the CPI you will recognize an extraordinary chasm between the government fable and reality. There are several reasons why 70% Americans feel that the country is heading in the wrong direction. Working harder and harder and feeling like you are going backward or having your retirement savings evaporate an ever increasingly rapid pace are sentiments that are playing a part. Older Americans are also entering their proverbial “Golden Years” with debt levels that are unprecedented, owing more on their houses, cars and even college loans than previous generations. According to data from the Federal Reserve Bank of New York the average 65-year-old borrower has 47% more mortgage debt and 29% more auto debt that 65-year-olds had in 2003. The concept of student debt among 65-year-olds was completely foreign just a decade ago; it is now a growing debt category. Conventional retirement planning wisdom states that individuals planning to retire should try to keep approximately seventy percent of their current income in retirement. 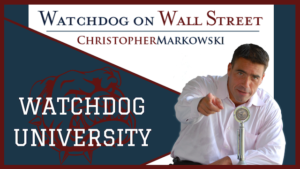 We at Markowski Investments and the Watchdog on Wall Street Radio Show are anything but conventional. The reality is that not everyone is capable of taking that thirty percent hit when they retire. There is an uneasiness that goes along with losing buying power and many are not at all ready or even capable of making the necessary cutbacks. Not everyone can deal with going out to dinner at 4:00 PM at The Villages in Florida. It is important that one takes a good hard look in the mirror and take stock of the sacrifices that you might have to make. Think of it as a personalized stress test. We have been having many long-hard discussions on the air and with our clients about the need to completely rethink retirement and what it means. This is not by any means the end of world and in fact I think the benefit to society as a whole will be immeasurable. The sooner people come to grips with this new reality the better off we all are going to be. However, politicians on both sides of the aisle choose to ignore this time bomb. It reminds me of the Saturday Night Live skit MrGruber, Which is a take off on the television show MacGyver. Instead of diffusing the bomb and saving everyone with a pack of gum, a paperclip and some duct-tape like the series, they talk nonsense until they all get blown up. First, I believe that we need to start recruiting accomplished individuals into education. Who would you rather have teaching your child chemistry, a sixty-five year-old accomplished chemist from Bristol Meyers or twenty-one year-old with an education degree? A great example of how ridiculous laws and rules are preventing this from occurring is what happened to Norm Augustine. Norm Augustine was a rocket scientist that graduated from Princeton (top of his class), went on to be the CEO of Lockheed Martin. I could list all of the awards and accolades that he received but it would turn this article into War and Peace. Augustine retired from Lockheed Martin because he wanted to teach kids. What he found out was he was deemed unqualified to teach 8th grade math in the public schools in his state. So he took his talent back to Princeton where his undergraduate class was ranked by the students and low and behold the guy who was not allowed to teach 8th grade math taught one of the top ten classes. Second, we need to work on greater workplace flexibility in regards to the amount of hours a week worked. There is nothing wrong with cutting back some as one increases in age. We should also work to make pensions easier to move from place to place thus allowing for new opportunities and skill enhancement. Third, we should work on incentives for business creation and entrepreneurship. The Kauffman foundation estimates that nearly half of all entrepreneurs are over 45. Rather than continuing the same draconian policies that are stifling entrepreneurship and innovation we need to loosen the draconian grip of government regulators. Fourth, we need to streamline the entire retirement account process. There are too many vehicles and too much confusion. Plus, allow for people to save and invest a lot more. Also, allow for individuals not only use retirement accounts to purchase the usual stocks, bonds and funds, but to also allow them to invest in themselves in buying or starting a new business. 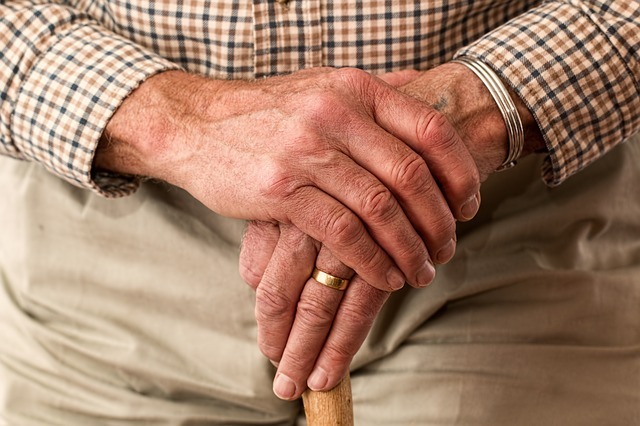 Fifth, there needs to be significant tax-advantages for individual who are taking on the responsibility of caring for older relatives in their homes. This takes away an expensive burden on society.